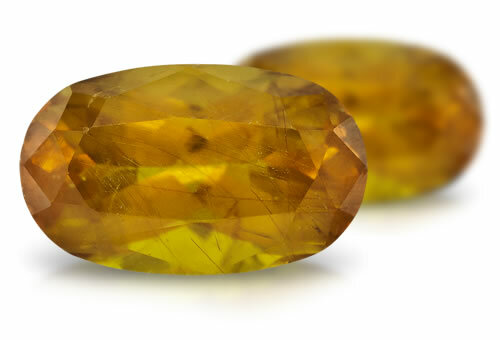 A rare gem, bastnaesite is named after the Swedish locality where it was originally discovered in 1841, the Bastnas mines. Color can range from honey yellow to reddish brown and crystals vary from transparent to translucent in appearance. Valued by industry as a source of rare-earth elements, bastnaesite is rare, but has been found in small quantities throughout the world. It is difficult to cut because it is a relatively soft mineral, however, its high refractive index, combined with its rarity, make it an exciting gem to own. Strongly piezoelectric: development of opposite charges at the ends of the crystal when placed under stress.